Thomas Andrew "Tom" Lehrer (born 9 April 1928) is an American singer-songwriter, satirist, pianist, and mathematician. He has lectured on mathematics and musical theater. Before attending college, Lehrer graduated from the Loomis Chaffee School in Windsor, Connecticut. As an undergraduate student at Harvard University, he began to write comic songs to entertain his friends, including Fight Fiercely, Harvard (1945). Before attending college, Lehrer graduated from the Loomis Chaffee School in Windsor, Connecticut. As an undergraduate student at Harvard University, he began to write comic songs to entertain his friends, including Fight Fiercely, Harvard (1945). Those songs later became (in a joking reference to a leading scientific journal, The Physical Review) The Physical Revue. Influenced mainly by musical theater, his style consisted of parodying then-current forms of popular song. For example, his appreciation of list songs led him to set the names of the chemical elements to the tune of Gilbert and Sullivan's "Major-General's Song". Inspired by the success of his performances of his songs, he paid for some studio time to record an album, Songs By Tom Lehrer, which he sold by mail order. Self-published and unpromoted, the album, which included the macabre (I Hold Your Hand In Mine), the mildly risqu? (Be Prepared), and the mathematical (Lobachevsky), became a success via word of mouth. With a cult hit, he embarked on a series of concert tours and released a second album, which came in two versions: the songs were the same but More Songs by Tom Lehrer was studio-recorded, while An Evening Wasted With Tom Lehrer was recorded live in concert. 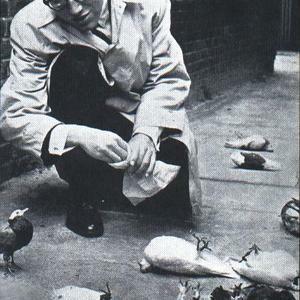 Lehrer's major break into the United Kingdom came as a result of the citation accompanying an honorary degree given to Princess Margaret, where she cited musical tastes as "catholic, ranging from Mozart to Tom Lehrer". This produced significant interest in his works, and helped secure distributors for his material. Ironically, it was in the UK where his music ended up more popular due to the proliferation of university newspapers referring to the material, and the willingness of the BBC to play his songs on the radio (something that was a rarity in the USA). By the early 1960s, Lehrer had retired from touring (which he intensely disliked) and was employed as the resident songwriter for the US edition of That Was The Week That Was (TW3), a satirical TV show. An increased proportion of his output became overtly political, or at least topical, on subjects such as pollution (Pollution), Vatican II (The Vatican Rag), race relations (National Brotherhood Week), education (New Math), American militarism (Send The Marines), World War III nostalgia (So Long, Mom, premiered by Steve Allen), and nuclear proliferation (Who's Next? and MLF Lullaby). He also wrote a song which satirized the alleged amorality of Wernher von Braun. A selection of these songs was released in the album That Was The Year That Was. The record deal with reprise records for the That Was The Year That Was album also gave Reprise distribution rights for Lehrer's earlier recordings, as Lehrer wanted to shut down his own Lehrer Records. The Reprise issue of Songs by Tom Lehrer was a stereo re-recording. This version was not issued on CD, but the songs were issued on the live Tom Lehrer Revisited on CD instead. When asked about his reasons for abandoning his musical career, he cited a simple lack of interest, a distaste for touring, and boredom with performing the same songs repeatedly. He has observed that when he was moved to write and perform songs, he did; when he wasn't, he didn't, and after a while the latter situation prevailed. It has been frequently observed that, though many of Lehrer's songs satirized the Cold War political establishment of the day, that he stopped writing and performing just as the 1960s counterculture movement gained momentum. Lehrer has stated that he doubts his songs had an impact on those not already critical of the establishment: "I don't think this kind of thing has an impact on the unconverted, frankly. It's not even preaching to the converted; it's titillating the converted... I'm fond of quoting Peter Cook, who talked about the satirical Berlin cabarets of the '30s, which did so much to stop the rise of Hitler and prevent the Second World War." Lehrer's musical career was notably brief, stating in an interview in the late 90s that he had performed a mere 109 shows, and written 37 songs across his 20-year career. Nevertheless, the cult following that had grown around his music significantly bolstered the effect that he had on a global scale. In the 1970s, Lehrer concentrated on teaching mathematics and musical theater, although he also wrote 10 songs for the children's television show The Electric Company. (Harvard schoolmate Joe Raposo was the show's musical director for its first three seasons.) In the early 1980s, Tom Foolery, a revival of his songs on the London stage, was a surprise hit. Although not its instigator, Lehrer eventually gave it his full support and updated several of his lyrics for the production. On 7 June and 8 June 1998, Tom Lehrer performed in public for the first time in 25 years at the Lyceum Theatre, London as part of the gala show Hey Mr Producer! celebrating the career of impresario Cameron Mackintosh (who had been the producer of Tom Foolery). The 8 June show has been his only performance before the Queen. Lehrer sang Poisoning Pigeons In The Park and an updated version of "Who's Next". The DVD of the event includes the former song. In 2000, a CD box set, The Remains of Tom Lehrer, was released by Rhino Entertainment. It included live and studio versions of his first two albums, That Was The Year That Was, the songs he wrote for The Electric Company, and some previously unreleased material, accompanied by a small hardbound book containing an introduction by Dr. Demento and lyrics to all the songs. Lehrer celebrated his 80th birthday on April 9th 2008.